Vores showroom i Lind ved Herning har åben efter aftale. Vi kan træffes på tlf. 28283061 eller mail jbskok@hotmail.com Bliddal-classic are open by appointment. 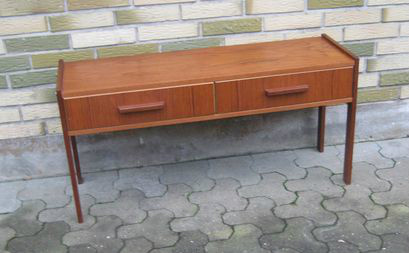 We offer wholesale of danish modern classic furniture. 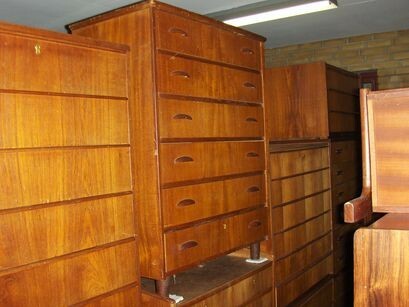 Mid-century furinture warehouse with modern classic furniture from denmark. 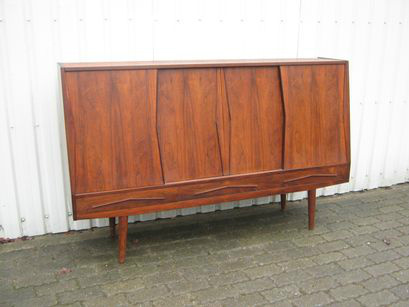 Bliddal-Classic.dk in Herning. Phone (0045)28283061. No.11919. Sidebord in rosewood, with some use wear. Price 9800 kr. No.130064. Sidebord in oak, with use wear. Price 3000 kr. No.11676. 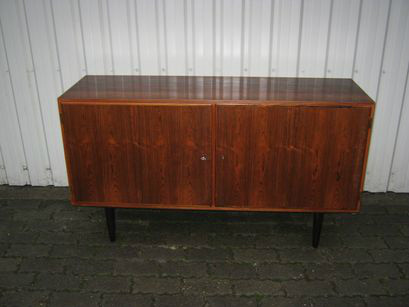 Carlo Jensen sidebord, by Hundevad in rosewood, with some marks and use wear. Price 2600 kr. No.11867. Omann Junier small sidebord in teak, with some use wear and a bit color difference on top. Price 2400 kr. No.11077. Poul Hundevad lille skænk i teak med slidtage. 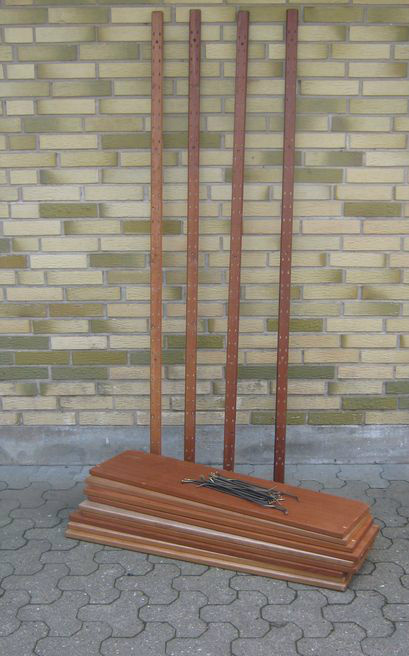 Pris 1900 kr. Sidebord in teak by Hundevad with use Wear and rep on top. Price 1900 kr. No.11201. 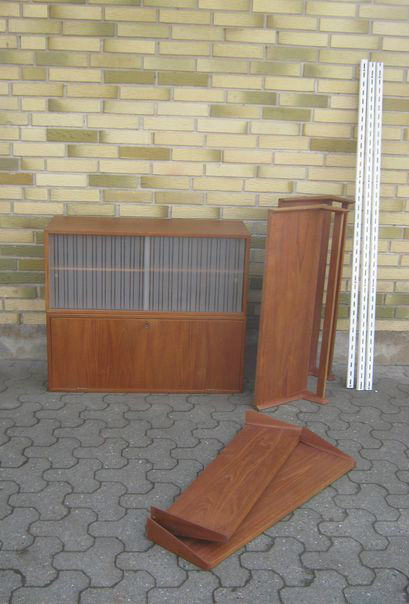 Lav skænk i teak med brugsslidtage. Pris 4500 kr. Law sidebord in teak with use Wear. Price 4500 kr. No.12063. 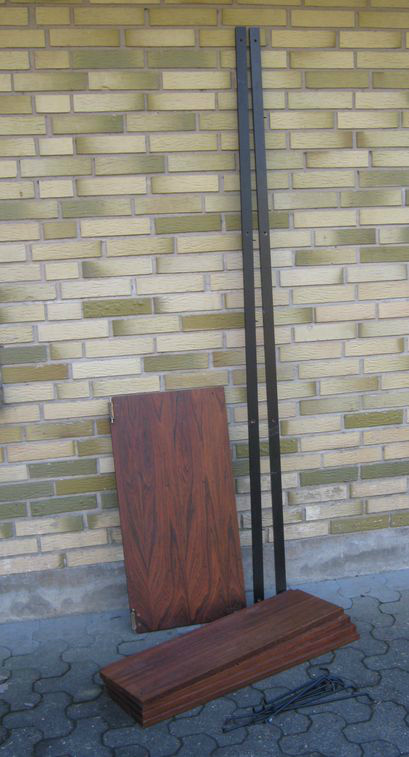 Skovby sidebord in rosewood, with use wear. Price 2600 kr. No.10691. Poul Hundevad, stor bogreol i eg med rep af små huller på bagplade. 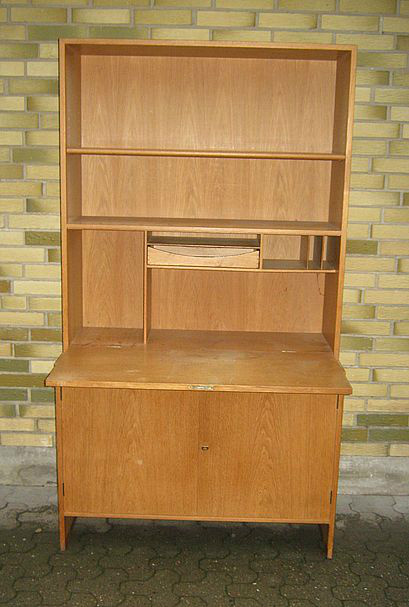 Pris 2000 kr. Hundevad bookcases in oak with use Wear and some repairs of holes in back. Price 2000 kr. No.10799. 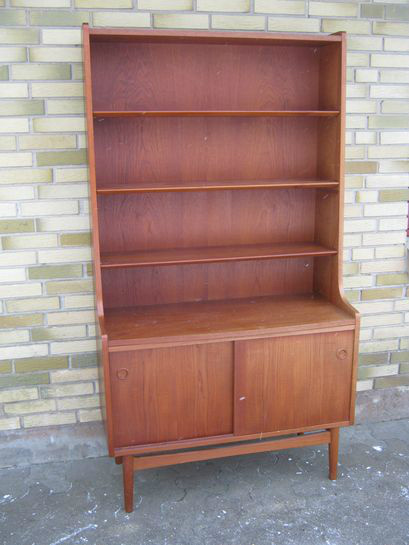 Vægreol i teak med brugsslidtage. 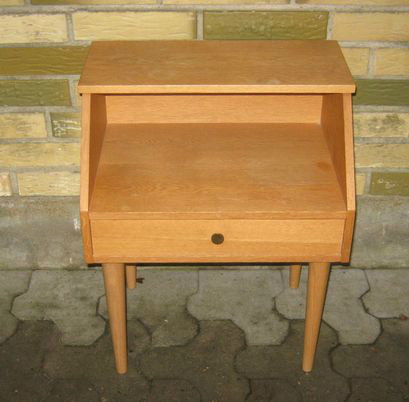 Pris 1800 kr. Wall uniet in teak with use Wear and marks. 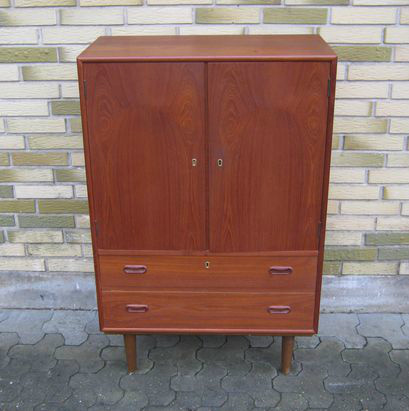 Setprice 1800 kr. No.11263. 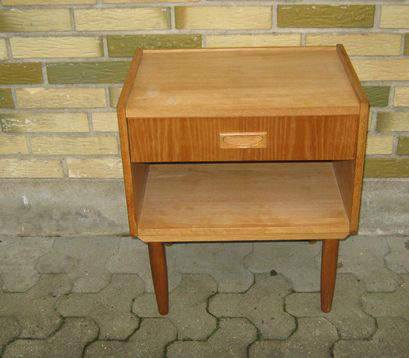 Skab i teak med brugsslidtage. Pris 2000 kr. 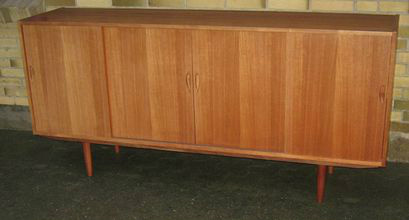 Cabinet in teak with use Wear. Price 2000 kr. No.11298. Lille kommode i teak med 4 skuffer. 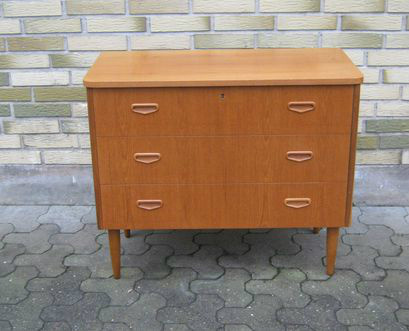 Pris 1200 kr. 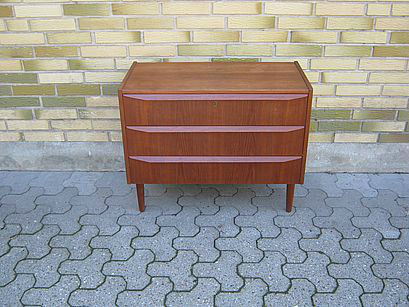 Chest in teak with 4 drawers and use Wear. Price 1200 kr. No.11473. 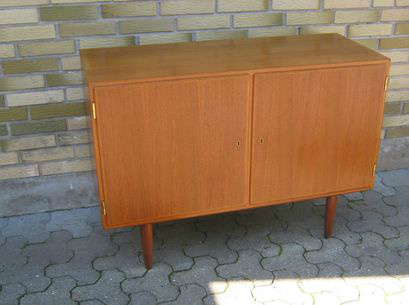 Kommode i teak med alm brugsslidtage. 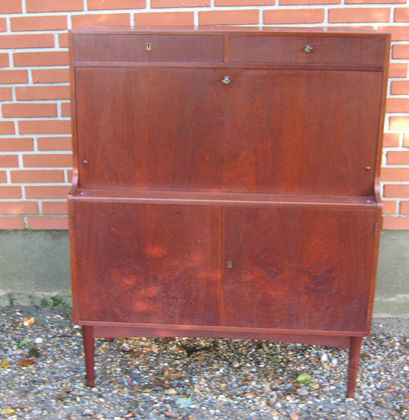 Pris 1900 kr. 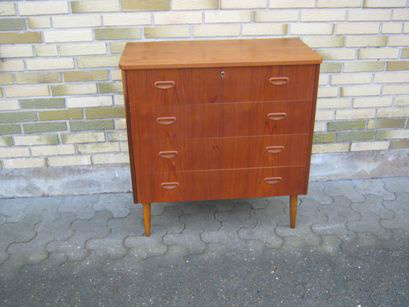 Chest in teak with use wear. Price 1900 kr. No.11539. 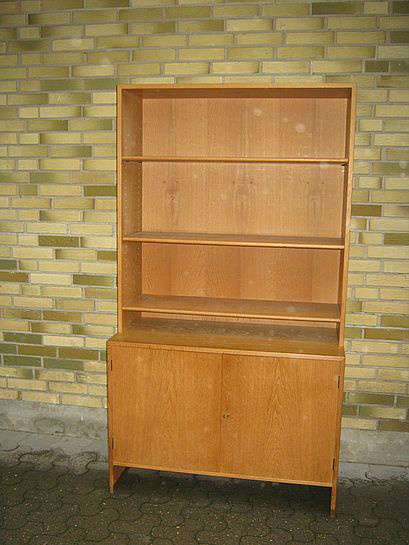 Carlo Jensen by Hundevad big bookcase in oak, with use wear. Price 1900 kr. No.11542. 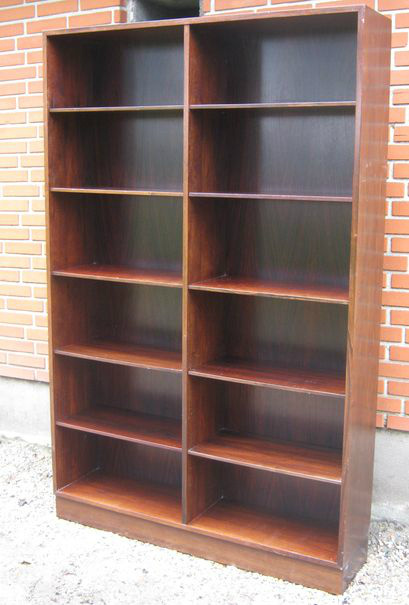 Carlo Jensen by Hundevad big bookcase in wenge-wood, with use wear. Price 2000 kr. No.11680. Bedside table in oak,with use wear. Price 850 kr. No.11681. 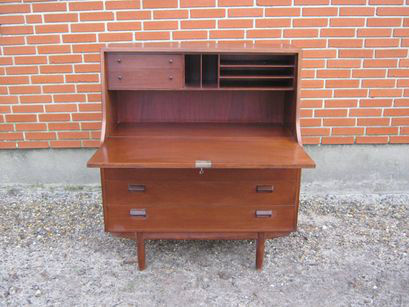 Bureau in teak, with use wear. Price 2200 kr. No.11744. Small wall uniet in rosewood, with use wear. Price 1500 kr. No.11765. Serving table in teak, with use wear. Price 800 kr. No.11792. Bedside table in oak, with use wear. Price 750 kr. No.11793. High sidebord in teak, with use wear and a mark on one door. Price 1900 kr. No.11797. High sidebord in rosewood, with use wear. Price 3200 kr. No.11826. 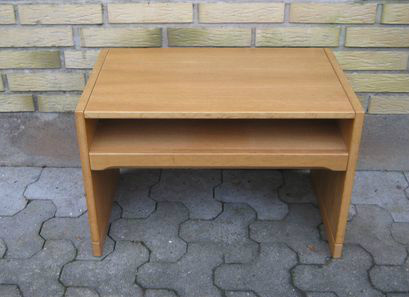 Aksel Kjærsgaard hall table in oak, with normal use wear. Price 950 kr. No.11886. Kai Kristiansen wall uniet in teak by FM, with use wear. Price 2500 kr. No.11945. 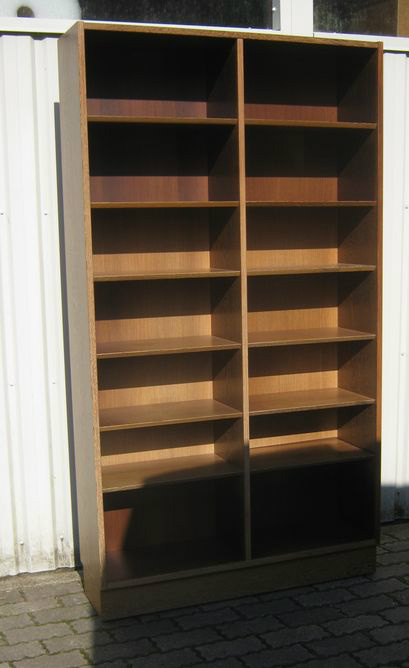 Big Rosewood bookcase, with use wear. Price 1800 kr. No.11960.SOLGT/SOLD. Sidebord in teak, with use wear and scratches on top. Price 4000 kr. No.12046. 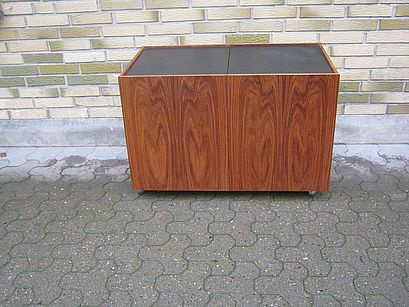 Børge Mogensen bureau in mahogany, with use wear. Price 3400 kr. No.12056. 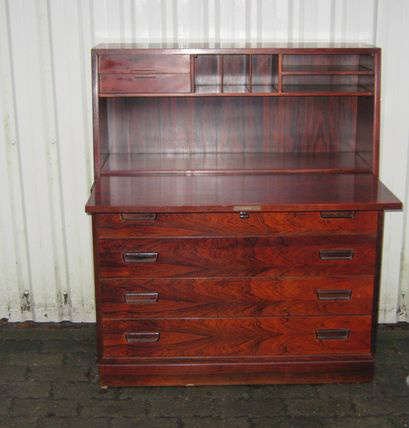 Bureau in rosewood, with normal use wear. Price 3000 kr. No.12061. 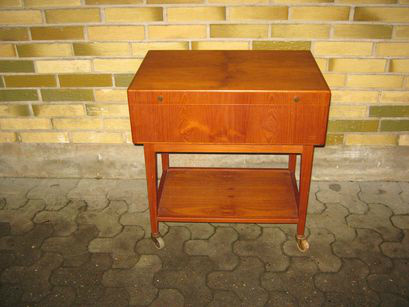 Small chest in teak, with use wear. Price 1250 kr. No.12062. 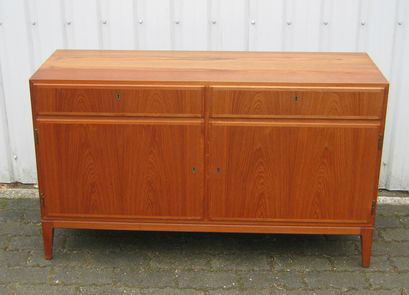 Hall chest in teak, with use wear. Price 975 kr. No.12076. 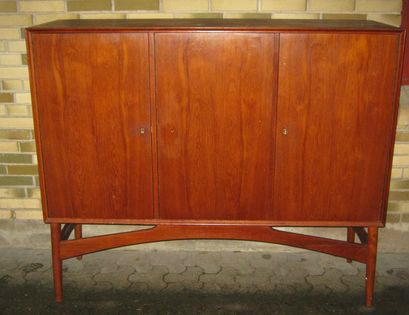 Cabinet in rosewood, with use wear. Price 1500 kr. No.12077. Chest in rosewood, with use wear. Price 2800 kr. No.12080. 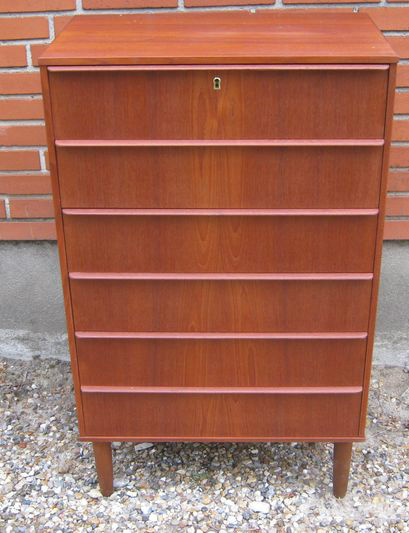 High bookcase in teak, with use wear and small marks on wood. Price 2400 kr. No.130023.RES/ON HOLD. 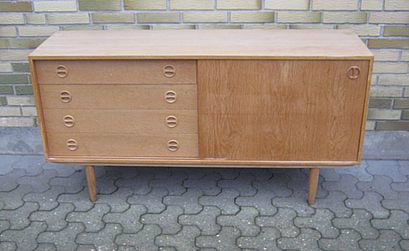 Ib Kofod Larsen sidebord in oak, with use wear, some stains and small mark on one of the drawers. Price on request. No.130025. 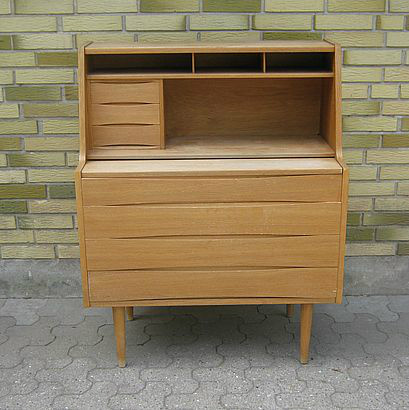 Bureau in oak, with use wear. Price 2600 kr. No.130031. 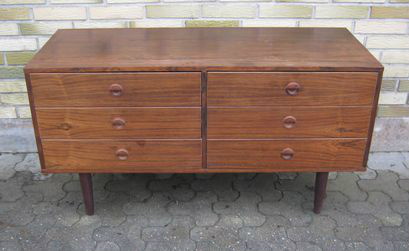 Chest in teak with use wear. Price 1300 kr. No.130030. 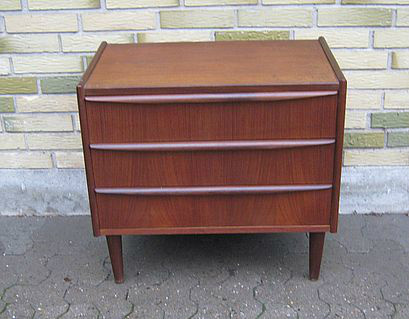 Chest in teak, with use wear. Price 1250 kr. No.130045. 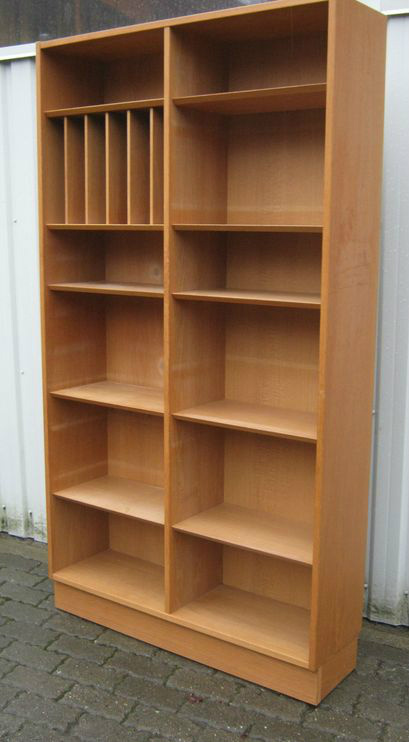 Hans J Wegner bookcase in oak, with use wear. Price 3800 kr. No.130046. 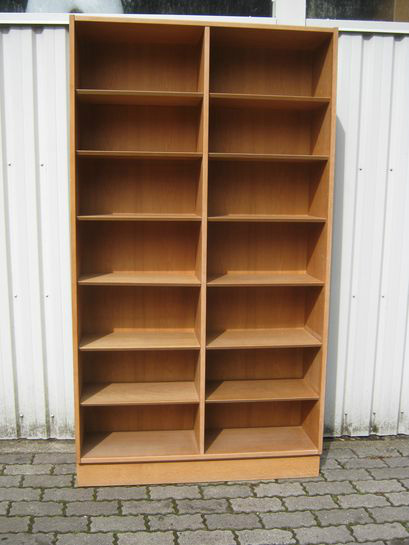 Hans J Wegner bookcase in oak, with use wear. Price 3800 kr. No.130069. 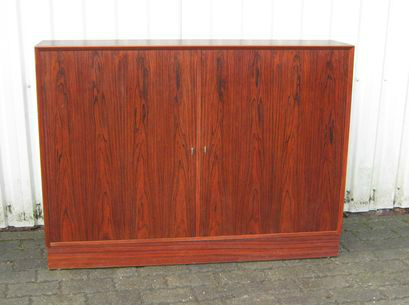 Bar cabinet in rosewood, with use wear. Price 1900 kr. No.130071. 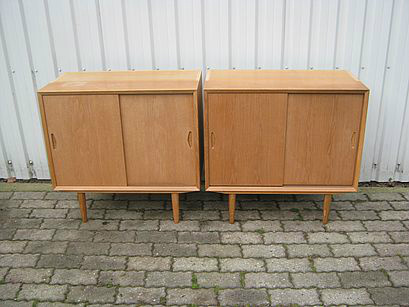 Pair of small sidebords in oak, with use wear and some stains. Set price 2800 kr.